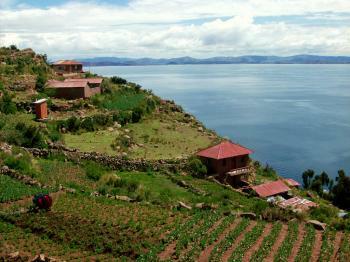 Lake Titicaca is part of the Tentative list of Peru in order to qualify for inclusion in the World Heritage List. I can't imagine Lake Titicaca not being inscribed one day though it will be interesting to see which parts make the cut. So many culturally and historically significant areas are being altered and modernized by mass tourism that I worry it might be lowering their chances of actually getting it done. While I generally agree that the tourist parts of the lake on the Bolivian side (Copacabana, Isla del Sol) are nicer than the touristy parts on the Peru side (Puno, Uros, etc) we were glad that after a brief debate over skipping it entirely we decided to give Peru's side ac hance. Puno is unpleasant and so many areas smelled like urine it was very offputting. Don't bother staying long and don't bother with the tours. By far the nicest area we found on the lake was in the Capachica peninsula at the village of Llachon. The is beginner's DIY. There are minibuses that go direct to Llachon from Puno (saving you from the longer boat trip that is also possible) and a handful of affordable family run guesthouses that provide food too. If you want an authentic village experience, freedom to wander and explore the hills with some excellent views this is the place. We saw a few other visitors but for the most part this is still somehow "undiscovered" by the backpacker and package tourist crowds. The only thing it was missing were the significant ruins you'd find around other parts of the lake. 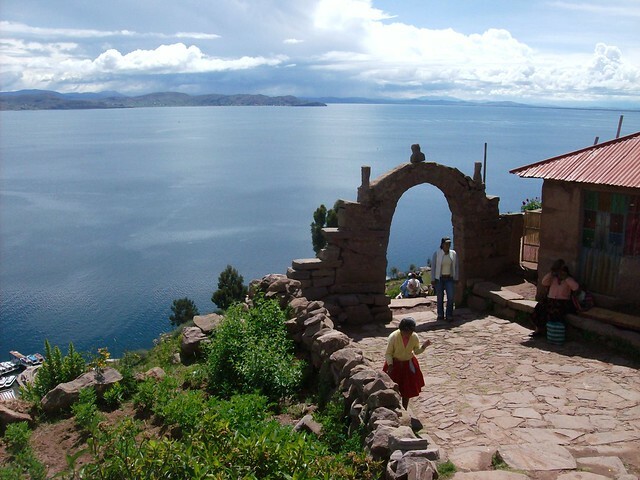 Lake Titicaca is the highest navigable body of water at 3800m. For the natives in pre-Columbian times this was where the gods created the world. Several islands and pre-Columbian sites can be found in and around the lake. The islands have kept some of the original lifestyle and most of the islands are terraced. I visited on a day trip from Puno. This is part of the standard tourist itinerary in Peru and the boat's passengers came from all over the world. The boat ride was relatively long and the views I got weren't that great. I like trees and there aren't many covering the shores. At least for the Peruvian side it's a bit hard to pinpoint. The floating islands (Islas de las Uros) seem more like a intangible heritage as they need to be rebuild every 30 years. Isla Taquile is too touristy and too modern with very few original sites remaining. It would probably be nice to stay over night and have some time to explore more islands and to venture a bit off the tourist paths. Personally, I preferred the Bolivian side and would recommend a visit here. Puno is the main spot on the Peruvian shores of Lake Titicaca. It is well connected by bus to Arequipa, Cusco and La Paz. When travelling between La Paz and Puno you can combine this with a visit to Copacabana and Sun Island. Alternatively, some tourist agencies offer a stop in Tiwanaku. I opted for Bolivian Hop as they do not include a tour guide (appreciated) and focus on the transfer. When transferring to Cusco consider using a tourist bus so you get see some of the sites in between. From Puno daily boat tours leave to Uros, Taquile and Amantani. To visit Amantani you have to stay overnight. There are also regular ferries, but it's hard to figure out their schedule. Booking and paying an organized tour in the hostal was way easier. For Uros note that it's nowadays more of tourist entertainment complex than a self sufficient island nation. You will get a presentation from the island settlers and be offered goods to buy. I wasn't really into that. In a way it's a bit tragic, that tourism is needed to enable this lifestyle, but that it's also destroying the traditional ways. The most obvious sign is the overweight of most settlers on the islands. Puno also boasts three Qhapaq Nan locations. I didn't have to time to go there. Presumably it would be safer to go by cab as these locations are in the suburbs. Do not stay in Juliaca for whatever reason. It's a terrible place and considered dangerous as soon as you leave the cab and the cab is not parked directly at the airport entrance. The underlying cause are massive smuggling operations in drugs, gasoline and further products centered in the city. A huge and pristine lake, with unique islands which have their own vibrant culture. 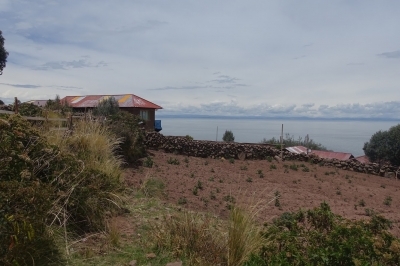 Lake Titicaca fits the criteria of a world class WHS. Seemingly, this tremendous lake would be inscribed under cultural criteria as a "cultural landscape" or mixed. Though the later might be difficult. It is somewhat baffling this site hasn't yet reached the world heritage committee. I found the landscape to be stunning, whether from islands or boat. This will almost undoubtably be inscribed one day. I expect a joint nomination by Bolivia and Peru that includes both natural and cultural elements.